A poignant part of the Christmas story is a couple needing a safe place to stay for the night. On Wednesday night, just four days before Christmas, men and women will be seeking shelter at the United Methodist Church of Plano. 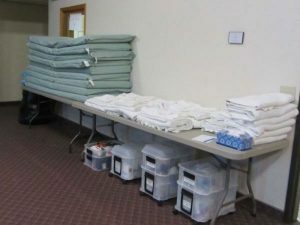 However, four more volunteers are needed to keep the temporary housing shelter open, according to Diane Morris, a site coordinator for Public Action to Deliver Shelter (PADS) of Kendall County. 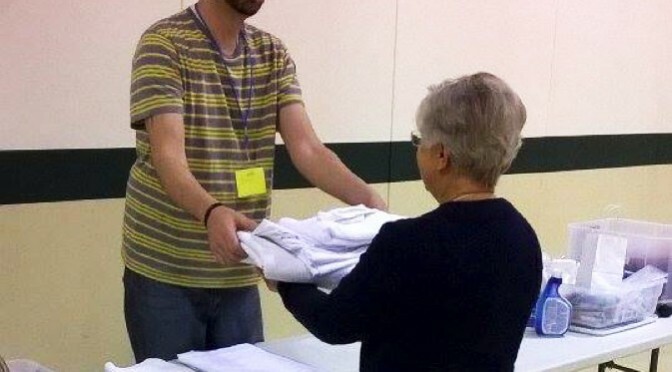 In October, Kendall County PADS began its seventh season of helping the homeless at seven churches that hope to continue opening their doors on designated nights of the week through April 16, 2017. But this season the nonprofit organization has been consistently short of volunteers on four of those nights, according to Anne Engelhardt, executive director of Kendall County PADS. Steve and Karen Allred are greatly looking forward to the next several months, when their church will be providing meals and overnight stays to the homeless. 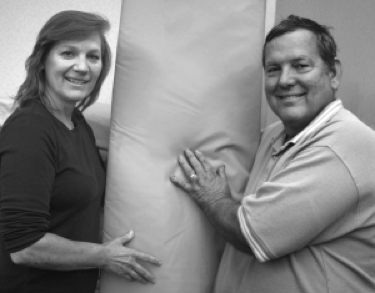 The Allreds are site coordinators at Harvest New Beginnings in Oswego, one of seven area churches that will again be hosting the homeless from mid-April to mid-October in partnership with Public Action to Deliver Shelter (PADS) of Kendall County. “We have been blessed and this is a great way to give back,” said Steve Allred, who has been volunteering for PADS along with his wife since the shelter sites began operating in Kendall County in October 2010. About 600 volunteers will be needed to operate the seven shelter sites, according to Anne Engelhardt, executive director of Kendall County PADS. Each volunteer is asked to serve 4 1/2 hours one day per month, as part of an overnight shift or by serving on the food team. Kendall County PADS will be holding a new volunteer training session at 6:30 p.m. on Monday, September 28, at Yorkville Congregational Church of Christ, 409 Center Parkway. Several presenters will provide an overview of the local picture of homelessness; describe how the shelter program operates; talk about the roles and responsibilities of various volunteer positions; and cover the topics of safe food handling and safety in general. The Oswego couple have been married for 37 years, have three adult children and four grandchildren, and own their own business. Serving at PADS is a labor of love for them. Darrell McGhee used to stay at a local homeless shelter. Now he volunteers at one. 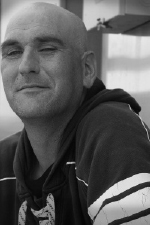 Darrell, 35, was a guest last winter and early spring of Public Action to Deliver Shelter (PADS) of Kendall County, Illinois. Today, he has an apartment and a job as a forklift truck operator, thanks to the help of the nonprofit organization. “It feels like a lot of weight has been lifted off my shoulders this time,” he said, comparing a recent, cold December night to the one last year when he first sought food and shelter at the PADS site at Cross Lutheran Church in Yorkville. Darrell was one of the more fortunate PADS guests because he owned a car. So every night that he was homeless, he was able to drive himself to the PADS sites operated throughout the week by local churches: Sundays at Cross Lutheran Church, 8609 Route 47, Yorkville; Mondays, Yorkville Congregational United Church of Christ, 409 Center Parkway, Yorkville; Tuesdays, Harvest New Beginnings, 5315 Douglas Road, Oswego; Wednesdays, United Methodist Church of Plano, 219 North Hale Street, Plano; Thursdays, Trinity United Methodist Church, 2505 Boomer Lane, Yorkville; Fridays, Church of the Good Shepherd, 5 West Washington Street, Oswego; and Saturdays, St. Luke’s Lutheran Church, 53 Fernwood Road, Boulder Hill. Lack of transportation is the biggest obstacle to finding a job and even finding a way to a PADS shelter site, according to Sidney Williams, who has been a guest of St. Luke’s, off and on, for three years. Sidney, 67, lamented the discontinuation of a Pace bus route that serviced nearby Oswego. He was able to get to St. Luke’s on this night by first taking a Metra train to the Aurora station, where Ron picked him up and then drove him to the church. Sidney said he usually stays at PADS sites in DuPage County, which operates shelters year-round. In Kendall County, PADS sites are open only from mid-October until mid-April, due to limited funding and volunteers. Information about donating or becoming a volunteer at a local shelter may be obtained online at www.kendallcountypads.org. Ron, the site coordinator, said St. Luke’s has hosted as many as 18 PADS guests on Saturday nights, mostly during the Great Recession. He sees the lower number of guests as a sign that the economy is improving. Dinner on this Saturday night at St. Luke’s was salad, meatloaf, corn, scalloped potatoes, rye bread, soda, coffee, and candy cane cake. Each PADS “suite” featured a light-green plastic mattress, clean sheets, two blankets, a toothbrush, toothpaste, towel, bar of soap, and access to a shower––which St. Luke’s is able to provide because its shelter site is the school gymnasium. He does not expect to be homeless for long because he has a car and a job as a meat cutter at a packing plant in Aurora. Wilbur even has higher hopes of saving enough money to place a down payment on a house. In addition to his meat-cutting job, he says he has applied for more work at a movie theater complex and a fast-food restaurant. He had been living in Chicago with his sister but had a falling out with his employer, also a meatpacking firm. Wilbur prefers living and working in the western suburbs as opposed to the gang-ravaged neighborhood where he had been residing. Darrell grew up three blocks away from St. Luke’s and now attends nearby River’s Edge Fellowship church. He was looking forward to taking Sidney to a potluck meal at his church the next day. And he was hopeful that all of the night’s guests would eventually become PADS volunteers like he has. Darrell McGhee knows what it’s like to be homeless, and now he wants to help those who are in the same situation that he once was. Darrell, 35, will never forget how he felt on that cold December night last year when he walked into a homeless shelter site at Cross Lutheran Church in Yorkville. Darrell had been living with his girlfriend in Aurora, hanging out in bars, and not trying too hard to find work. He says he had “burned bridges” with his family, so when his girlfriend broke up with him, he had no place to live. That’s when his grandmother told him about Public Action to Deliver Shelter (PADS) of Kendall County. A quick call to the local police station led to a referral to the nearest PADS shelter site. So Darrell spent that first night, a Sunday, at Cross Lutheran. Unlike most PADS guests, Darrell was fortunate enough to own a car. Therefore, he could drive himself to the six other area churches that host PADS shelter sites in Kendall County throughout the week from mid-October to mid-April. As the PADS season was ending last spring, Darrell realized that he needed to get serious about finding a job, lest he wind up homeless again. So that’s he when he contacted Manpower, which landed him a job with a local farm equipment company. Shortly thereafter, Darrell was able to save enough money to rent a room from an Aurora homeowner for $500 per month. He was recently laid off from his job but Manpower found him a new one, as a forklift operator. “They’ve been really kind,” he said of the employment agency. Darrell is looking forward to the upcoming PADS season, but for a different reason than the one he had last fall. He plans to be a volunteer, helping others who are in the same predicament that he was in. He says PADS “needs people like me who have been homeless, who know what it’s like to have no place to go.” Since he works during the week, Darrell will most likely be volunteering on Saturday nights at the PADS shelter at St. Luke’s Lutheran Church in Montgomery. Besides Cross Lutheran and St. Luke’s, the other participating PADS churches this year will again be Yorkville Congregational United Church of Christ; Harvest New Beginnings in Oswego; United Methodist Church of Plano; Trinity United Methodist Church, Yorkville; and Church of the Good Shepherd, Oswego. 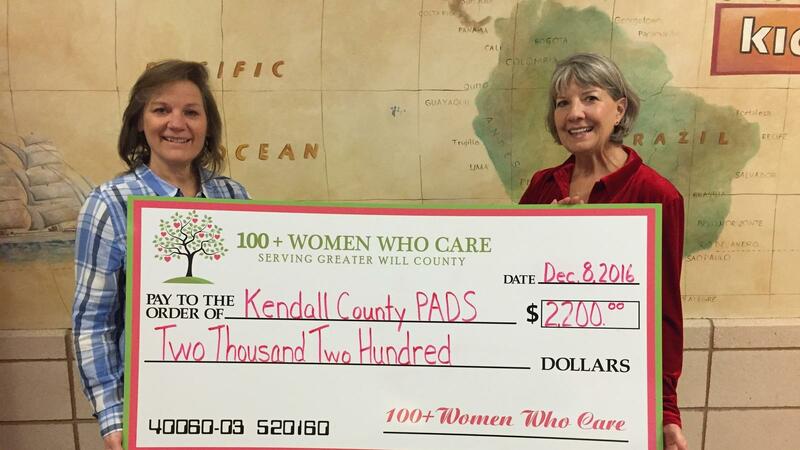 Since 2010, Kendall County PADS has assisted more than 300 men, women, and children. That translates into 5,794 overnight stays and 17,369 meals.